8 picks with different angles. 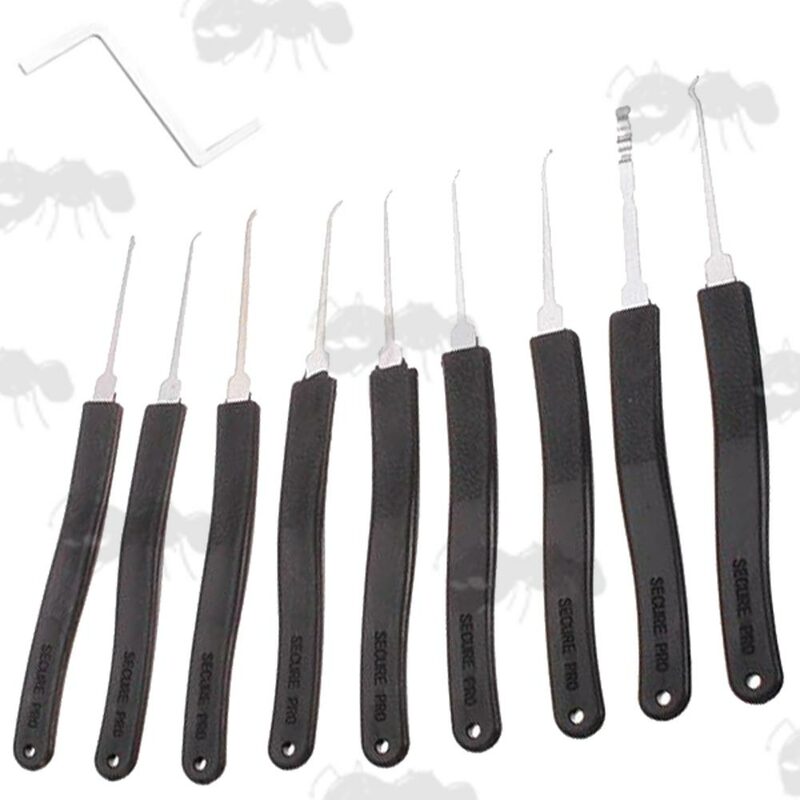 1 pick for car locks, tension wrench included. 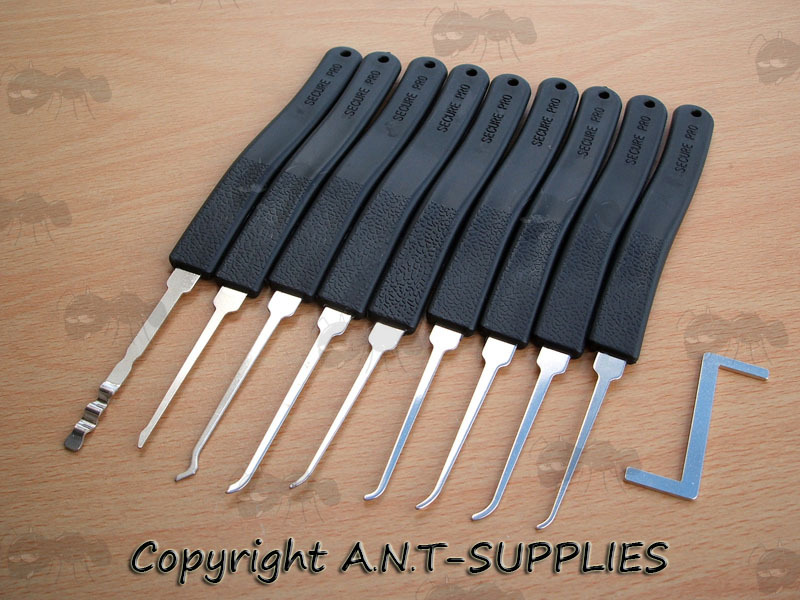 9 piece black handled lock pick set, great for beginners to professionals.